Being with us since day one, the delightfully sunny destination of Mallorca is a favourite of ours at Classic Collection Holidays. We have consistently fallen for its sandy beaches, rugged mountains and vibrant lovable culture. With so many things to do in Mallorca we’ve provided a month by month guide and highlighted some of the top events in Mallorca. Although not as warm as summer, January temperatures average at 10°C. January is the best time for a city break in Palma or to experience some of the Island’s most important religious festivals. Three kings celebration – On January 5th a procession of floats travel through Mallorca. Children leave their shoes out under a Christmas tree and something for the three kings to eat. Next morning gifts appear by their shoes. January 6th is a public holiday in Mallorca. 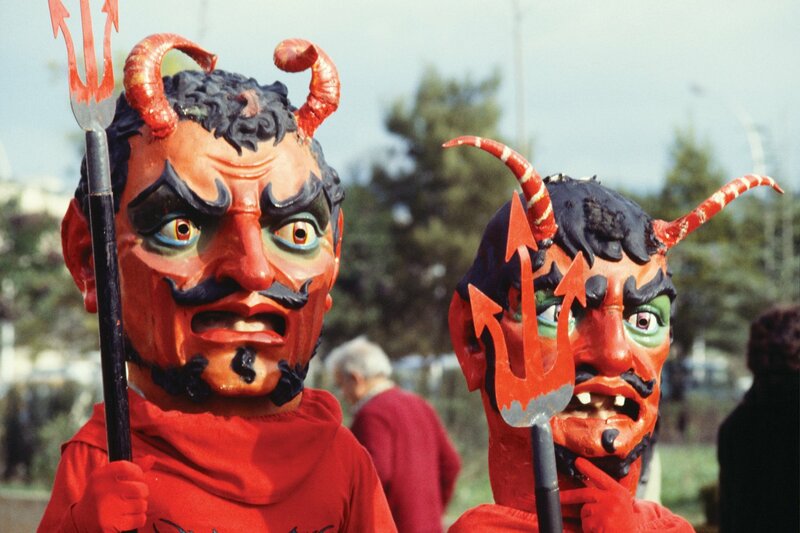 Fiestas de Sant Sebastià – Street bonfires blaze and concerts take place to celebrate the patron saint of Palma. An enchanting time of year, tree blossom brightens the area and gives off a seductive fragrance. Orange and Lemon trees bear fruit and wild flowers fill the fields. Almond blossom – Pink almond blossoms appear across the island and almond themed fairs pop up selling the harvest. 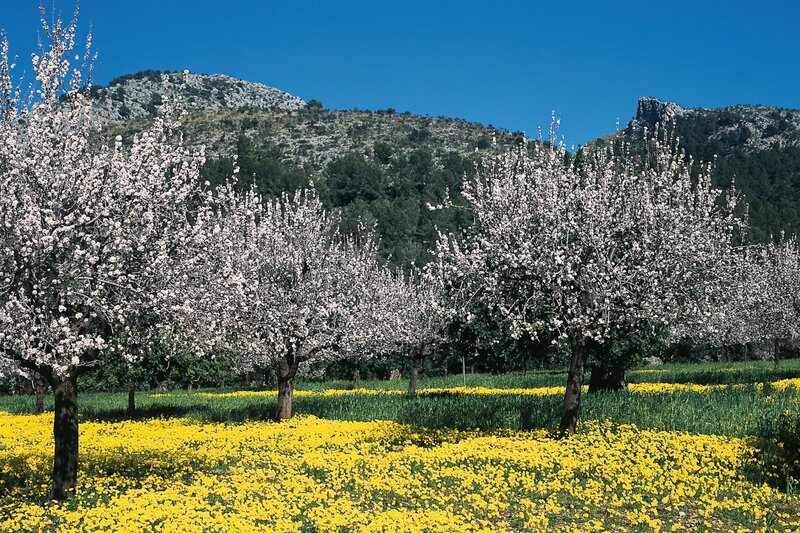 Becoming increasingly popular is the Fira de la Flor d’Amether (the almond blossom fair) held in the charming pastoral town of Son Servera. A kaleidoscope of almond inspired items deck the stalls, with treats including different types of almonds, arts and crafts made from almond wood, almond scented candles. The weather begins to warm up and spring is welcomed with opened arms. March is a peaceful time in Mallorca when you can truly enjoy its countryside. Balearic Islands day – Kicking the month off, March the 1st is Balearic’s day. The day the ‘Statute of Autonomy’ came in to effect. Concerts, fairs and parties take place across the island to celebrate this day. Sa Rua – This is the last day before lent and Mallorca’s version of Pancake Day. An indulgent carnival with games, activities and lots of food stalls taking place on 2nd and 3rd, 2019. Spring festivals – Towards the end of March, towns of Mallorca begin to celebrate the coming of spring with town fairs, markets and family entertainment. 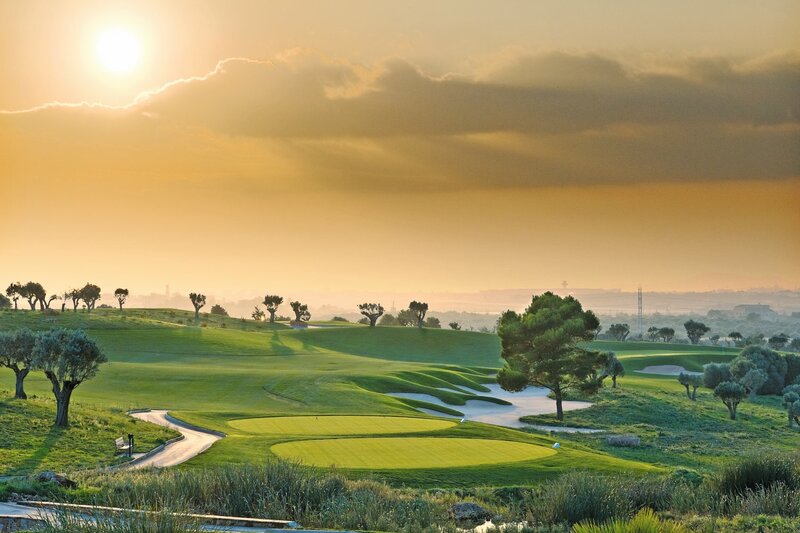 As the weather continues to brighten, spring season is well underway. 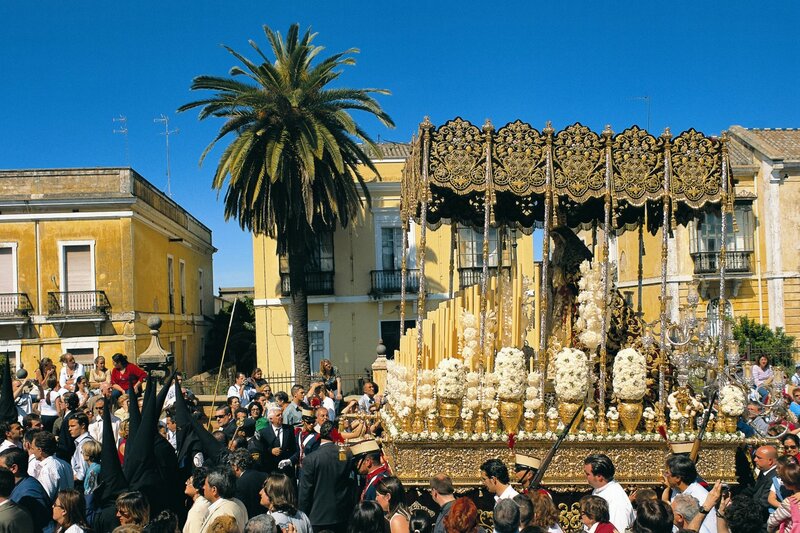 A very important religious time, Easter in Mallorca brings tradition alive with re-enactments and festivities. Semana Santa – A highly religious festival celebrated throughout Spain. Processions and events take place throughout the Easter weekend with a solemn March on Holy Thursday, re-enactment on Good Friday and the more joyous festivities taking place on Sunday. Spring festivals – Parades, music and fire runs continue in towns throughout the island celebrating the arrival of spring. Expect markets, livestock shows and entertainment for all the family. Traditional Spanish procession of La Semana Santa during holy week. The summer season really starts to launch in May. A highly pleasant time to visit with colourful flowers and temperatures between 15°C and 18°C. Pollenca wine fair – You can sample many different wines from across the Balearics at this wine fair. With over 70 wine producers in Mallorca, there is a lot to try! Moors and Christians – Re-live history in Soller where a mock battle takes place re-enacting the invasion of Moorish pirates fought by the defending Christian villagers. With street parties and fancy dress. Palma Beer festival – To tantalise those taste buds, at the beginning of May a beer festival takes place in Palma where you can sample beers from over 70 exhibitors. 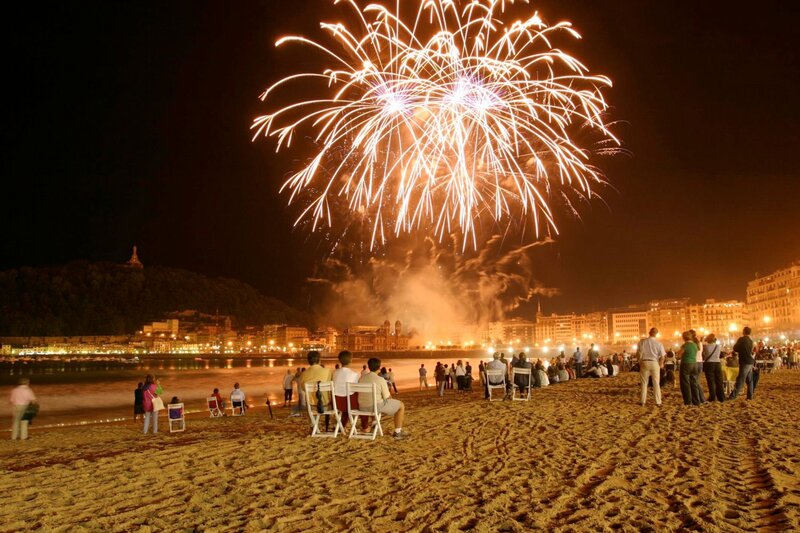 Nit del Foc – Taking place on Midsummers eve, Nic de Foc (Night of Fire) is a fantastic festival with bonfires, fireworks and ‘devils’ who run through the streets with firecrackers. One of the biggest events in Palma, the festivities mark the beginning of the summer fiestas. 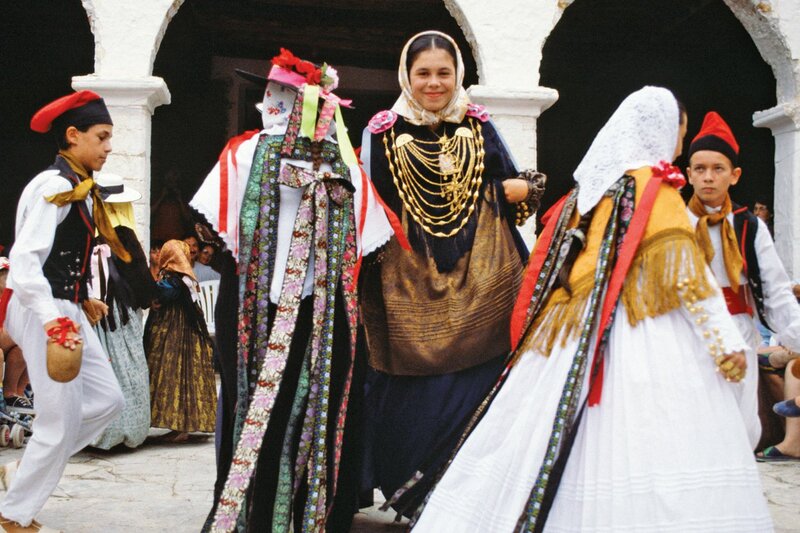 Village Fiestas –Each village and town holds a fiesta to celebrate its own patron saint. Throughout Mallorca these take place on different days, always check before travel to see when your local fiesta will be held. Clear blue skies, lots of sunshine and average temperatures of around 24°C. Mallorca in July is a wonderful time to visit, the days are long and the evenings are warm making it particularly inviting. Deia International Music Festival – For classical music enthusiasts the Classical music festival begins. Well known performers and local performers take part in this memorable collection of events. Night Markets – With the holiday season in full swing night markets are held throughout July in several Beach resorts and towns. Browse through the markets for souvenirs, trinkets and gifts after a gentle stroll along the beach. Possibly the hottest time to visit, average temperatures soar to around 25°C. Blissfully warm, holiday resorts are in full swing with a wealth of entertainment and fun activities on offer. 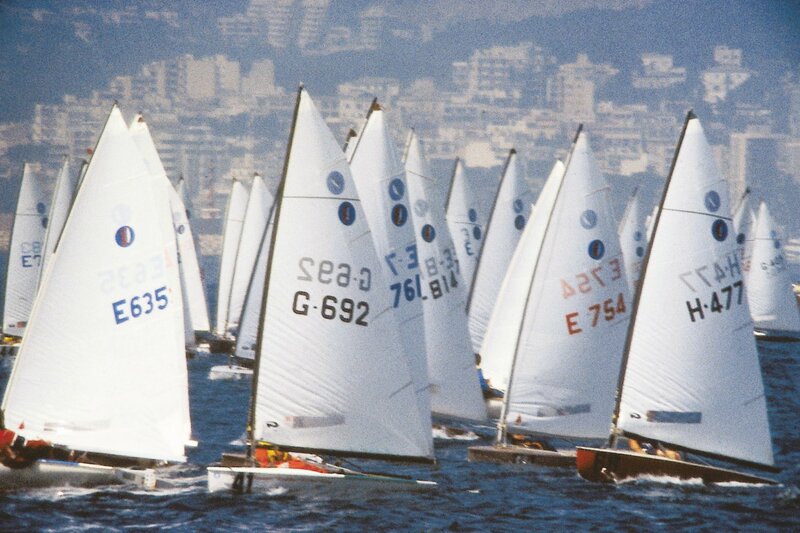 Copa del Rey Sailing Regatta, Palma – From the 27th July to the 3rd August, witness some of the finest sailing yachts, racing in the bay of Palma. Open air cinema – Open air cinemas pop up in Palma for peaceful evening entertainment. As the summer season comes to a close, crowds begin to clear and temperatures start to drop to an average of 20°C to 23°C. The beginning of the month is harvest season, meaning September is the best season to delight in the islands best produce. Festes de Rei en Jaume Santa Ponca – A two week festival celebrating the landing of King Jaume I. Mock battles take place and general festivities, a very popular festival. Mallorca classic car week – Usually in the third week of September (18th – 22nd 2019). Owners of classic cars come together and display their cars. 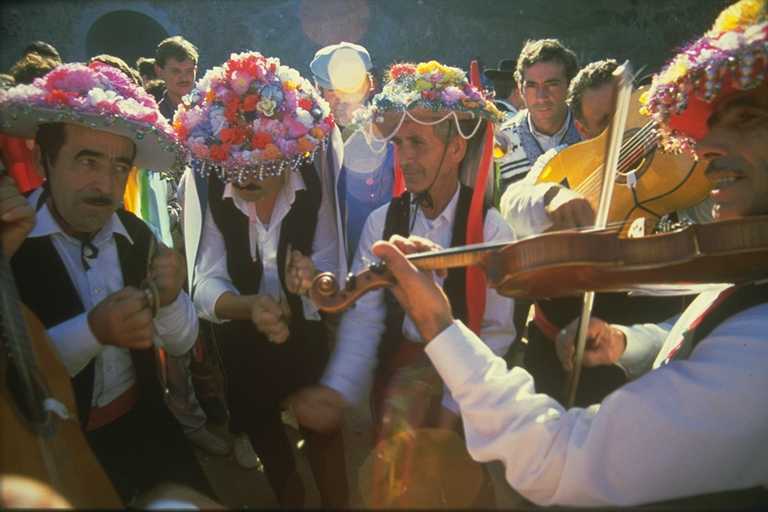 Binissalem Fiesta – In the last week of September the village of Binissalem holds Fiesta des Vermar tocelebrate the grape harvest. Join in with grape treading contests, village dinners in the town square, parades, live performances and the notorious grape fight! A great time of year for those looking for a more authentic side of the island. Although the weather begins to cool down (Still around 18°C!) the colours of autumn really begin to show . Palma Marathon – Many Nationalalities come together to participate in this challenging race. October beer festival – Throughout October beer festivals take place in Palma, Santa Ponca and S’Arenal. (The islands own Octoberfest). Weather in November tends to be a little more unpredictable, although temperatures stay in the low teens. A favoured time for exploring rural life and the glamorous city of Palma. 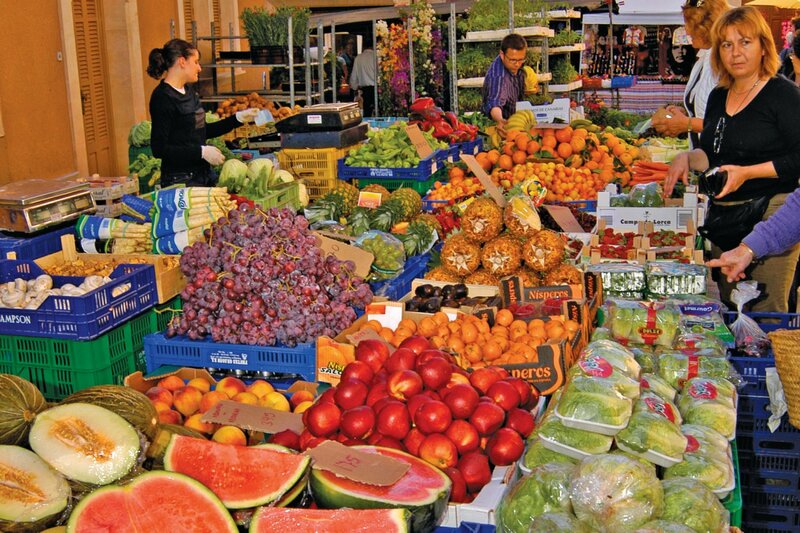 Dijous Bo, Inca – Taking place on the 2nd Thursday in November Dijous Bo is Mallorca’s most important and popular agricultural fair. With livestock, parties and celebrations. 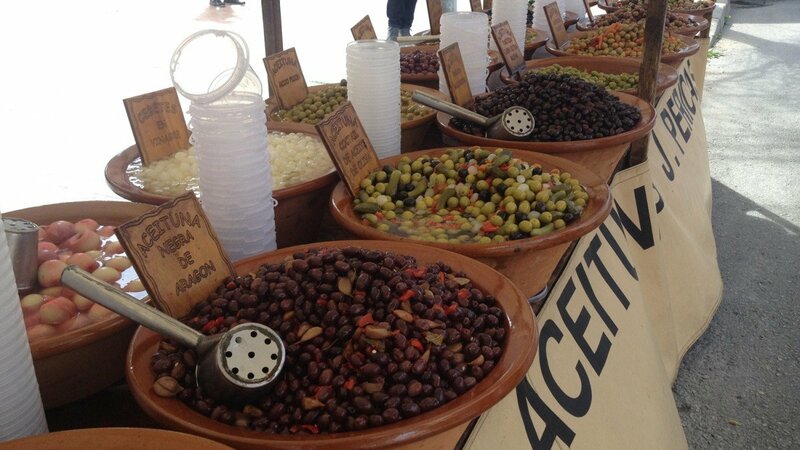 Olive Fair – On the foothills of Tramuntana mountains, a fair celebrates the harvest of olives, lots of olives, charming rural village life at its best (18-19th). A truly festive time in Mallorca, villages and towns come alive with Christmas décor. The average temperature in December is a modest 10°C, however Palma’s squares come to life with Christmas markets. A truly fantastic destination to celebrate the Christmas holidays. 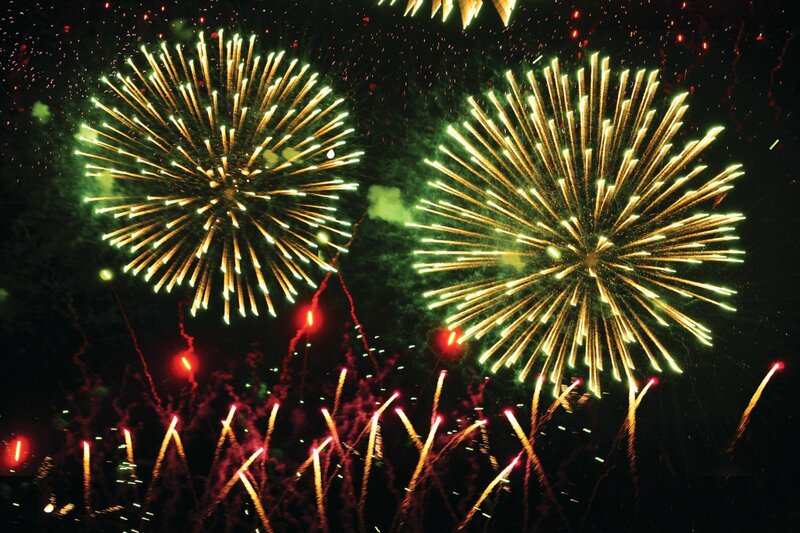 New years eve – Firework displays, live music and dancing. Plus there is a wonderful tradition of eating grapes during the countdown to midnight. Have you been to any of these events? We would love to hear your stories. For more information on events, festivals and hotels call us on freephone 0800 047 1066 to discuss any questions you may have.